IDC's CMO Advisory Service guides marketing and technology leaders as they master the science of marketing in the age of the customer. Digital transformation offers CMOs the opportunity to become revenue drivers and architects of the customer experience. Leaders leverage IDC's deep industry knowledge, powerful quantitative models, peer-tested practices, and personalized guidance to advance their operations. 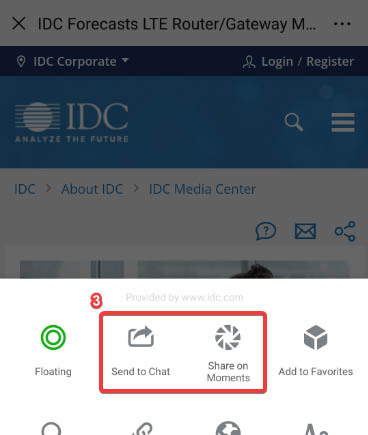 Whether seeking fresh perspectives on core challenges or counsel on emerging developments, IDC offers a trusted source of insight. How should I organize my team and invest my budget? What are leaders doing to better engage with customers? 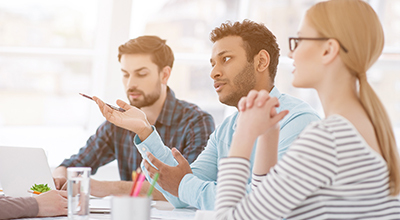 How do I develop the next generation of marketing competencies? How can I best use data, intelligence, and AI to drive customer centricity? Benchmarking and Organizational Planning Tools: The Marketing Investment Planner provides benchmarks and KPIs to support budgeting, organizational structure, technology investment, and measurement. A custom benchmark analysis compares your organization with a select target group, providing a comprehensive gap analysis with actionable recommendations. Modern Marketing Competency Research and Frameworks: To support your marketing transformation and growth, IDC offers IDC MaturityScape, IDC PeerScape, IDC Perspective, and other models that guide strategy, operations, measurement, technology selection, and performance. Buyer Insights and the Voice of the Customer: IDC examines the buyers' preferences, attitudes, and behaviors concerning today's marketing and selling practices. Peer Networking: The Marketing Leadership Board Meeting meets twice each year to support our clients' efforts in effective transformation and growth. Peer-to-peer calls provide rich discussion on key topics. Workshops and Webcasts: Team education via webcasts on trending topics and peer-to-peer "hot topic" calls inspires fresh perspectives. Inquiry Support: There is unlimited inquiry access to practice analysts, ad hoc research from our extensive database, and facilitated member-to-member discussions upon request. IDC can assess, benchmark, and score today's marketing organization and transformational capabilities and design a future state structure, a skills checklist, and a prioritized, actionable road map. IDC can provide seminars, training, and half-day or full-day workshops on a wide range of marketing effectiveness and marketing transformation topics. Workshops include research presentation, discussion, and exercises. 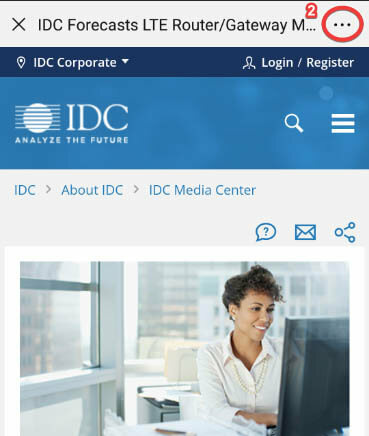 IDC can develop and deliver custom research-based content such as webcasts, event speeches, and white papers for use in training and for go-to-market campaign offers. IDC can design and conduct custom research, frameworks, and models to provide insightful answers to your specific business questions. Popular topics include marketing benchmarks, buyer behavior, buyer's journey, and dashboard development.